So it’s been a while since I’ve written on the blog (sorry!!). We had a mega busy christmas (thank you so much beautiful customers) and we’re busy making up more jewellery but I thought it was about time we shared another story of one of our pieces. 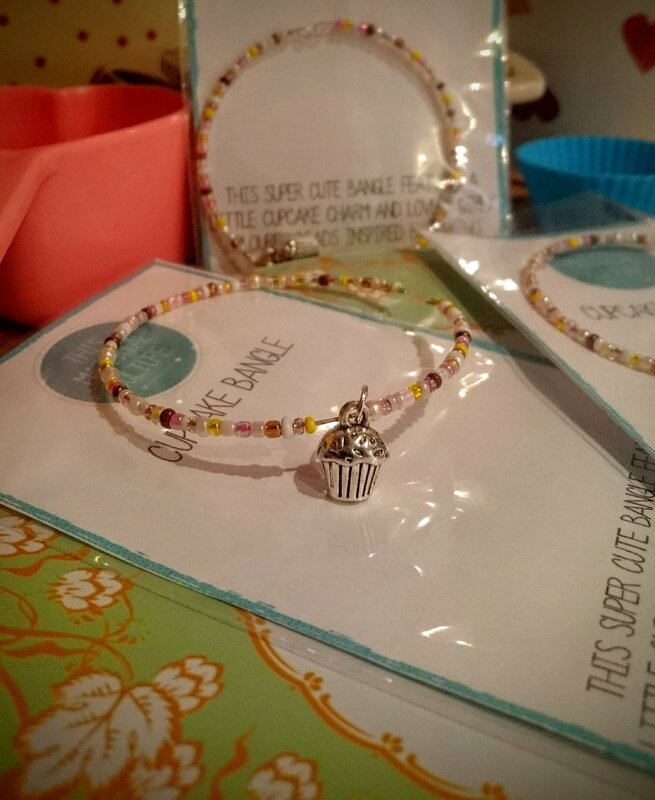 This time I’m going to tell you about our cupcake bangle – a gorgeous, cute, pastel, tribute to the most wonderful invention of all time – CAKE!! I bought the little cupcake charms because they are just so cute – tiny, silver and really detailed, with little sprinkles and everything! 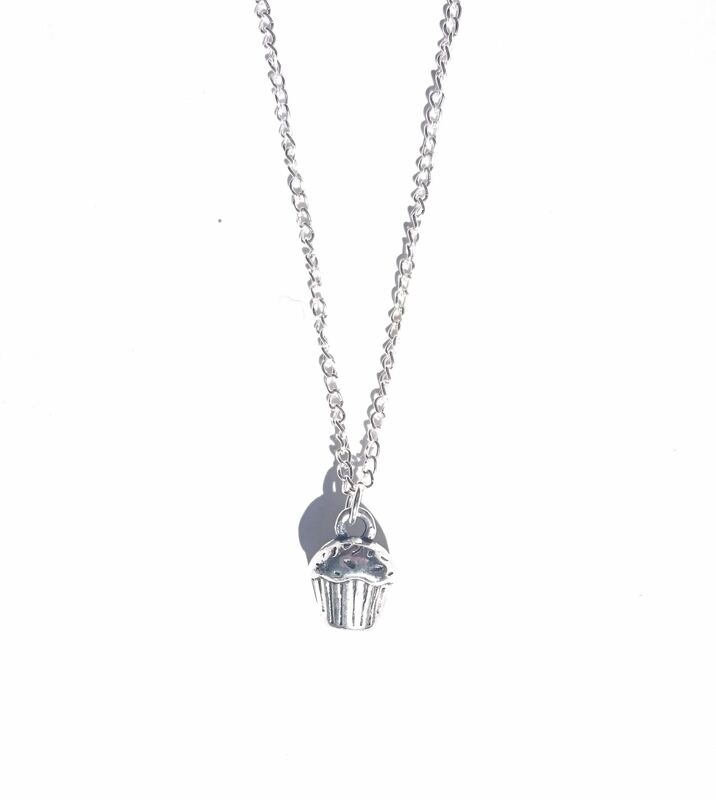 We’ve put it on a pendant because it totally holds its own as a cute little necklace, perfect for any bakers, but we’ve also got a cupcake bangle – and I love it. I think there’s something fabulously British about cake, we’re huge fans of The Great British Bake Off (I’ve been hopelessly trying not to put a soggy bottom joke in this post) and in Liverpool we’re lucky to have some wonderful local independent bakeries, like The Custom Cupcake Company, Albion Bakehouse, Cuthberts, Laura’s Little Bakery and The Baltic Bakehouse and there’s no better treat than a proper homemade cake. I love baking, (you can read some of my recipes here) there’s something so relaxing about creating something out of nothing, and I I love all the cute, pretty baking accessories you can get now, so all that inspiration goes into the bangle too! When I was designing this bangle I wanted it to bring you all the lovely happy feelings we get when we think about cupcakes. I decided to stick with little seed beads – they remind me of sprinkles and they just work. For the colour scheme I wanted to use cute pastels, but in cakey colours. So I looked at some of our favourite cakes – french fancies, cinnamon swirls, iced doughnuts – and chose my colours based on them. 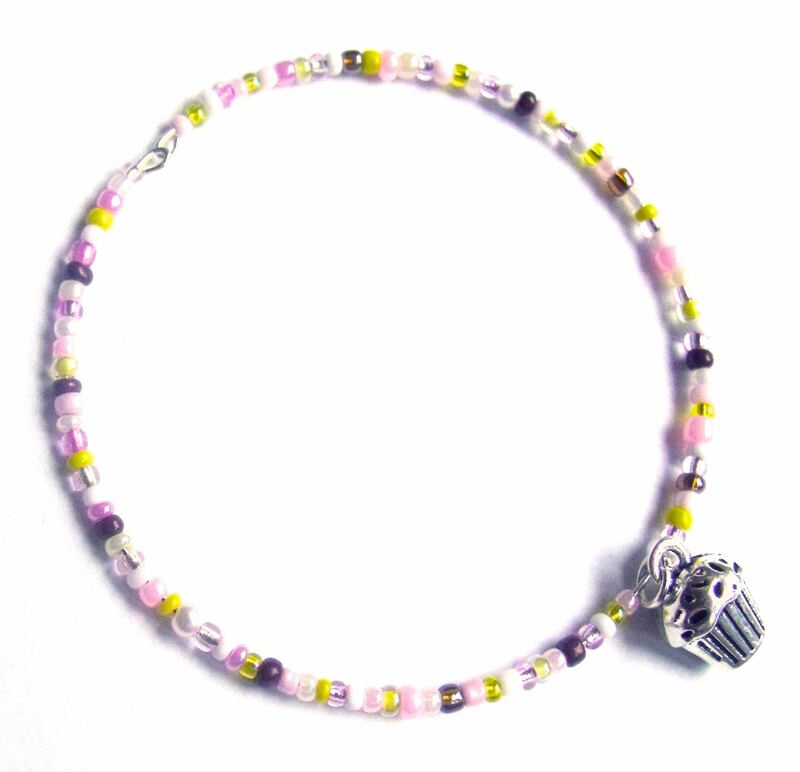 I settled on baby pink, lemon, brown and white, and then chose a range of pearlised, sparkly and matte beads. And of course, we can’t forget the super cute cupcake charm! Each bangle is made unique, so the order and combination of the beads is totally unique on your bangle – I think it keeps the beauty of a handmade product, while obviously still looking like a This Material Culture cupcake bangle. So there you have it, the gorgeous This Material Culture Cupcake Bangle – inspired by well… cupcakes! !